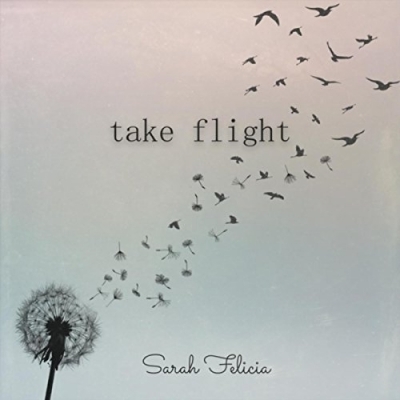 Sarah Felicia, a singer, songwriter, and musician from Ontario, Canada, has released her debut EP 'Take Flight', featuring her recent single 'All That Glitters'. From a young age, Sarah had a passion for music and singing. As a child, she would often share her love of music, and performing with others. In her late teens she decided to learn guitar, and once she got to university Sarah felt called to pursue music as a career. In her last semester of university, Sarah had the opportunity to study music in Nashville Tennessee. There, she worked towards recording her first set of songs, and growing as an artist. After her experience in Nashville, Sarah continued to create music, tour, and showcase her songs, in addition to leading worship at her church. Sarah is developing her fresh new sound with a combination of folk, pop and contemporary worship. In 2017, Sarah released an original song titled "Red Balloon", and also released a French version "Ballon Rouge". Her current goals are to continue building a community of fans while reaching a variety of people, and using her music to inspire and encourage her audience through song. Sarah is also working towards showcasing her new songs in a variety of local and nationwide performances.